It is 2014 and the performance & presentation of illusions have evolved. The choreography, prop design, use of dancers, music and costuming has changed significantly from the 90s. All world-class illusionists add their own personal idiosyncratic touches to their performance of an illusion, even if it is a standard illusion. These touches may come in the form of unique elements in prop design, presentation, technical handling or theatrical enhancements. While Greg Frewin (www.gregfrewintheatre.com) from Canada has original illusions such as the pictured “Shrouded Transposition”, he also has added his own unique modifications to dozens of other illusions. World-class illusionists only perform original or authorized illusions built by licensed builders or with rights paid to the creator. Part of being world-class is peer recognition within the magic industry. Pirates and thieves are not well-regarded within the industry. Kevin James (www.kjmagic.com) is one of the few magicians/ illusionists in the world who performs only his original material. He is best known for his “Snowing” illusion, “Floating Rose” and “Operation”. Modern illusionists know that they have to appeal to the current mainstream audience and keep up with contemporary pop culture. This is reflected in the design of the illusions they perform, the choreography, music, costuming and presentation of the illusion. 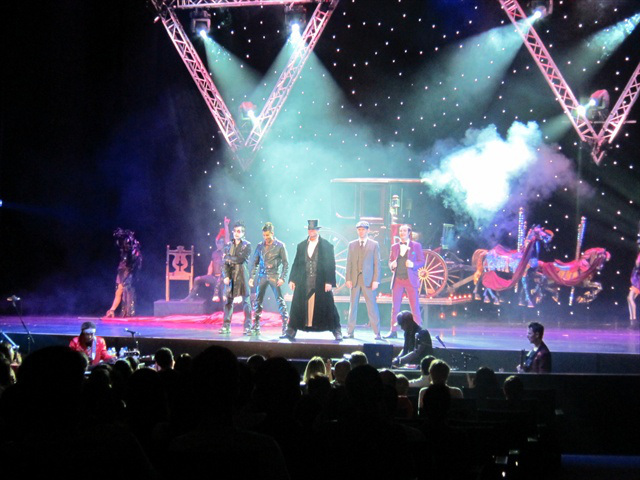 One of the cast of the “The Illusionists”. This touring show has successfully introduced modern magic & illusions to a new audience worldwide. 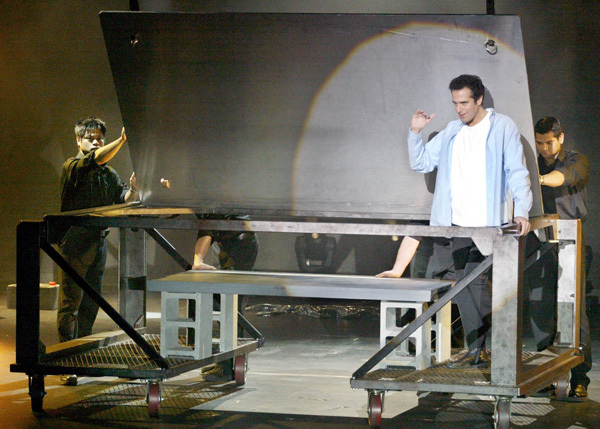 Even though an illusion performance may revolve around an inanimate physical prop, world-class illusionists are able to tell a story or clearly lead the audience through the plot of the illusion through actions, movements, facial expressions and body language and use of theatrical elements such as lighting, music and sound effects. Whether it is creating a cool vibe, wonderment, heart-warming feelings, light-heartedness, danger or suspense, world-class illusionists evoke emotion in their audience with each illusion they present. No one in the history of magic is able to evoke emotion in an audience as well as David Copperfield (www.davidcopperfield.com). 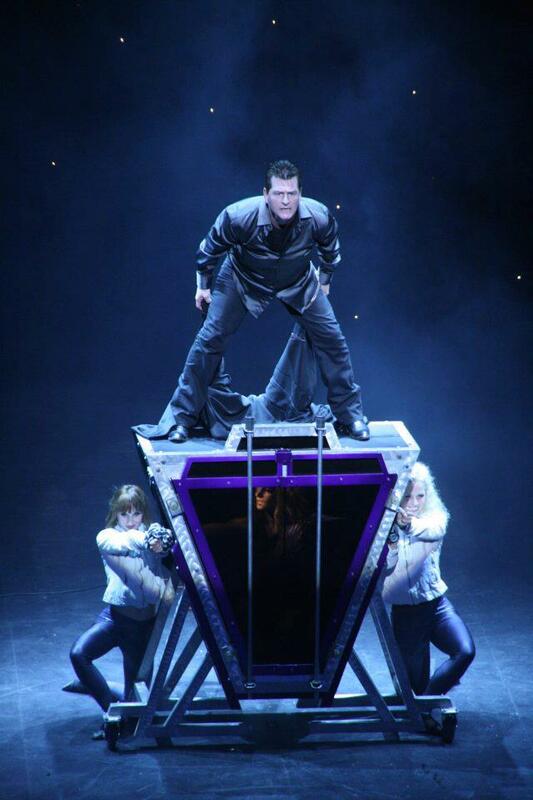 World-class illusionists understand that the performance of Illusions is just as hard as any genre of magic. They ensure all choreography, actions and stage movements are well thought-out, motivated and performed with efficiency and economy. Luis de Matos (www.luisdematos.com) from Portugal is an all-rounded magician/ illusionist who always performs material with his unique touches that is completely well thought-out in presentation, technical handling, movement and script. The most important moments in any magic performance are when the audience experiences the magical effect. All good magicians and illusionists know how to create and communicate these magical moments to their audience. The performance builds to these moments and the audience is skillfully led to the experience of wonder when they happen. Lighting, music, multi-media, special effects, script, costuming, stage setting and aesthetic illusion design are all used (when appropriate) to enhance the performance and presentation of an illusion. Franz Harary (www.franzharary.com) uses multiple theatrical elements as well as massive props to create an impressive illusion performance. Presenting a good illusion is, more often than not, a team effort and (at the absence of a magic director) the illusionist is the manager of the team. 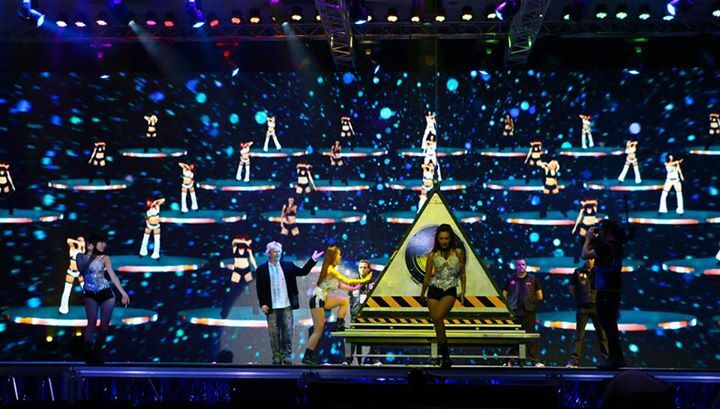 World-class Illusionists are able to manage all aspects of an illusion performance including the onstage assistants, stage crew, production crew (audio, video, lighting, special effects etc) and the physical illusion props themselves. While a surprise to some magicians, most illusionists are technically sound in other genres of magic and present very good non-illusion material. This may be manipulation acts, close up routines, stand-up routines or even the ability to interact with an audience. One simple reason is that most illusionists were not born illusionists but excelled in one branch of magic before successfully transitioning to an illusion career. Lee Eun Gyeol (www.legproject.com) from Korea is not only a world-class illusionist but also a FISM-winning manipulator/ dove magician.